The Oakland Police Department is investigating a shooting at a BART station parking lot Thursday that left one woman dead. Pete Suratos reports. A 16-year-old boy has been arrested in connection to the deadly shooting at a BART station parking lot, Oakland police said. 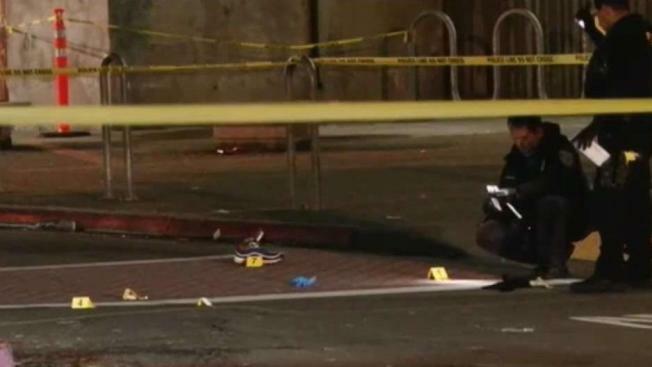 The shooting occurred around 10:30 p.m. at the West Oakland BART station's parking lot. Emergency crews responding to the scene found a 17-year-old girl suffering from at least one gunshot wound. The woman was transported to a hospital, where she later died. The station was shut down until about 11:20 p.m. while officials assessed the scene.